Halloween is an ‘eve’ where the dead revisit us and the following day is All Hallows Day, where the dead are remembered. On October 31st people get dressed in great ghoulish and amusing costumes with the intent to fright, delight and have fun. The aim is to ‘humor and ridicule to confront the power of death’. 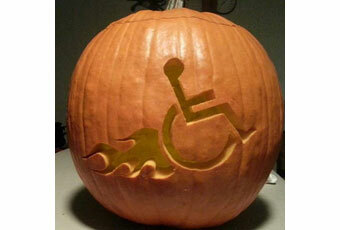 This year, Halloween brings about this meaning to me in many different ways. As a long time employee at a large organisation this will be my last day at work. My leaving celebration is on Halloween where old colleagues that I have worked with over the years will be coming out of the wood-works – just like the dead revisiting. It is not like I want to ridicule them though – it is more about laughing at old times and reminiscing on the ‘good old days’. I am sure the night will be filled with the splendor of ‘trick or treat’ – treat me or I will cause havoc and mischief. Oh hang on, I think that will probably happen anyway! Leaving a long-term job is like a ‘death’, you will no longer see the same people day in and day out (that can be taken as a good thing or a bad thing), and it really is a sense of a chapter closing in your life – something you are no longer connected to. There are people I have met along the way that have shaped and influenced me, and I have learnt many lessons. There are some I will stay in touch with, and some I won’t. In thinking on what will happen on All Hallows Day, the important people will be remembered – and those are the ones who have made a lasting an positive impact in my life.